John Keay graduated MB CM from the University of Glasgow in 1881 and MD in 1888. He went on to serve for half a century in the field of Scottish lunacy administration. 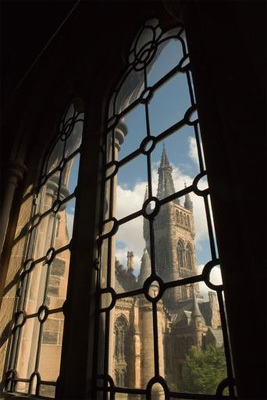 Keay started his medical studies at Owen’s College, Manchester, but transferred to the University of Glasgow in 1877. Upon graduation, Keay worked as house-surgeon and house-physician at the Glasgow Royal Infirmary, before pursuing further postgraduate study in Vienna. Returning to Scotland, Keay was appointed junior assistant in Crichton Royal, Dumfries and later obtained senior appointments at Polton and Inverness. In 1904 he was made medical superintendent of Bangour Institution, Edinburgh, a post which held until his retirement in 1931. Keay was also a lecturer on mental diseases at the School of Medicine of the Royal Colleges and continued with his research, graduating MD in 1888 with his thesis on Some features of modern asylum practice. He was elected to a Fellowship of the Royal College of Physicians of Edinburgh in 1892. In 1914, at the outbreak of the First World War, Keay was made commandant of the Bangour War Hospital with the rank of lieutenant-colonel. In 1919 he was awarded the CBE in recognition of his services. Keay achieved the highest honour in his field of medicine when he was elected president of the Royal Medico-Psychological Association in 1918.